The team at TopRank Marketing includes a mix of digital marketing talent, experience and expertise. Some of our team members contribute their digital marketing smarts on TopRank’s Online Marketing Blog. Here’s a peek at each of our blog authors so you can learn a little more about who’s behind the magic at TopRank Marketing. 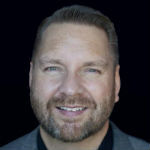 Lee Odden is the CEO and co-founder of TopRank Marketing, the author of Optimize and the creator / editor in chief of TopRank’s Online Marketing Blog. With 20+ years in the online marketing industry and 14+ years of blogging, Lee has consulted for numerous Fortune 500 companies and keynoted at conferences all over the world on digital marketing and PR. While he has been cited for his expertise by the Wall Street Journal, The Economist, and Forbes magazine, his kids keep him grounded and focused on what’s most important – family! Ashley is the Director of Agency Marketing for TopRank Marketing. In addition to finding innovative ways to showcase the exceptional work of her team, she is also responsible for creating digital marketing programs that drive customer acquisition and growth for the agency. Outside of her role at TopRank Marketing, Ashley prides herself on being a great home chef, painter, prankster and dog mom. 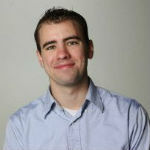 Josh is a Content Marketing Manager for TopRank Marketing. He strives to write with humor and personality, leading the charge against boring corporate content. He is also willing to write rap songs of considerable freshness for the right client. In his free time, Josh plays several musical instruments (badly), sings (pretty well), and tries to do right by two wonderful children. 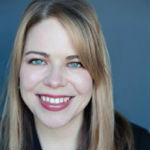 Caitlin is a Senior Content Marketing Manager for TopRank Marketing. She is a force of nature when it comes to creating thoughtful content that appeals to those who are searching for answers. Outside of her writing magic at TopRank Marketing, Caitlin fulfills her duties as a princess, spreading joy and hope to the children of the world. Tiffani is an Account Manager at TopRank Marketing. She’s a writer at heart who obsesses over content strategy, web design and the way they work together to create lasting impact. Along with her love for digital marketing, she’s an avid Whovian and Chuck Norris’ self-proclaimed #1 fan. Alexis is VP of Client Services and doubles as the Wonder Woman, Cat Woman and Super Girl of marketing and account team management. She can also leap tall buildings with a single bound and manage marketing programs for large, complex organizations that are part of the Fortune 500. Debbie is a Social Media Lead that helps plan, implement and manage social media and influencer marketing programs. Debbie is also a University of North Dakota fanatic and animal lover who wears a pretty impressive shark costume on Halloween. Anne is a Copywriter performing her writing magic for a variety of clients. Ann describes herself as a TV, books, and games geek. As a UW Madison communications grad, she is also an epic Packers fan, which we can forgive #GoVikings since she is so talented. Elizabeth is an Account Manager, proud mom and optimizer of fun at TopRank Marketing. She manages marketing programs for major B2B brands and cites human communications and cows as some of her top interests. Elizabeth has a Master’s Degree in Communication Studies. 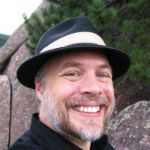 Lane R. Ellis, Social Media and Content Marketing Manager for TopRank Marketing, has over 34 years’ experience working with and writing about the Internet. 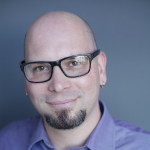 Lane spent more than a decade as Lead Editor for prestigious conference firm Pubcon. When he’s not writing, Lane enjoys distance running (11 marathons including two ultras so far), genealogical research, cross-country skate skiing, vegetarian cooking, and spending time with his wonderful wife and their three cats in beautiful Duluth, Minnesota. Nick is a Content Strategist at TopRank Marketing on a mission to energize brand narratives with smart, fun, sharp wordplay. In his free time, he enjoys basking in the misery of Minnesota sports fandom, making cringeworthy puns, and smothering all types of food in buffalo sauce. Susan is President and co-founder of TopRank Marketing and has been voted as most likely source of laughter or guitar playing when heard in the TopRank Marketing offices. With over 20 years in the digital marketing space, Susan provides strategic direction for the TopRank Marketing leadership team and large enterprise clients.